OK, ranking artists, or ranking their works, is a bit silly, I know. How can you compare books that are really quite different and then say that one is better than another? Yes, a list that declares that this novel is better than that, and that those books are worse than these, is rather ridiculous. But the enterprise is fun anyway! Although, instead of listing the “best” of anything, however, it would make more sense to talk of one’s “favourites” – that would make it clear that the choices are strictly personal, and often based on highly subjective reasons, rather than measured distinctions. 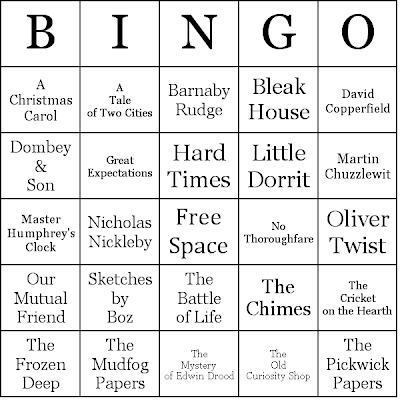 With that in mind, I am going to divide the 15 Dickens novels that I’ve read and reviewed this year into three groups: top 5, middle 5, and bottom 5. 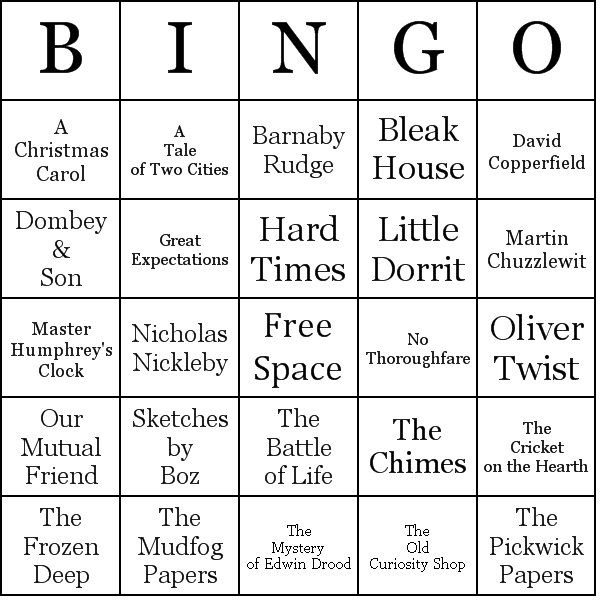 Some of these novels I’ve only read once – encountering them for the very first time in 2012 (Dombey and Son, Bleak House, Hard Times, Little Dorrit, Our Mutual Friend, and The Mystery of Edwin Drood). Some of them I’ve read twice (The Pickwick Papers, Nicholas Nickleby, The Old Curiosity Shop, Barnaby Rudge, and Martin Chuzzlewit). The other four I’ve read several times (Oliver Twist, David Copperfield, A Tale of Two Cities and Great Expectations). So the rather cursory nature of my acquaintance with some of these books needs to be kept in mind! All of Dickens’s novels, of course, are worth reading – at least once. And over the course of a long reading-life, one ought to come back to some of them several times. As one’s own life experiences enrich and bruise one’s attitude to, and knowledge of, the world, there is so much more in these books to admire and to think about. Great Expectations: the first Dickens novel I read – back in the mid-60s. I also studied it twice in university. A gripping coming-of-age novel that charts its protagonist’s inner development at the same time as introducing some truly memorable characters. 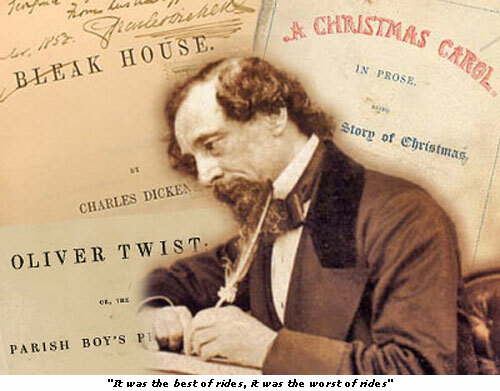 It is also the most self-revealing of Dickens’s books. It was published weekly, and is about half the size of his usual novels, which makes the story move along at a good clip. Much less rambling and discursive than the longer books and the well-constructed plot keeps the story-telling taut and focused. David Copperfield: another bildungsroman (coming-of-age story) presented with a first-person narrative. The book is chock-full of wonderful characters. The description of young David’s time at the Murdstone and Grinby factory is a fictionalised account of Dickens’s traumatic experience of working at Warren’s Blacking Factory, whilst the rest of the family was in the Marshalsea Debtors’ Prison. Despite this and some other parallels to his own life, Dickens reveals less here about himself than he would later in Great Expectations. Oliver Twist: a compelling story that charts the development of an orphan raised in a parish workhouse. It is one of Dickens’s most melodramatic stories – gripping its readers, with its sordid descriptions of London low-life and yet another array of wonderful characters. A shorter novel than some, it moves along expeditiously – but the mystery of Oliver’s parentage leads to some unnecessary convolutions in the plot. Martin Chuzzlewit: a funny, satirical look at selfishness and greed as they contaminate the history of the extended Chuzzlewit family. The novel includes two of Dickens’s funniest creations – the self-styled “architect” Seth Pecksniff, who is a delightfully unctuous hypocrite, and the booze-loving nurse Sairey Gamp, whose loquacious ramblings both irritate and entertain at the same time, as she tells us constantly about the thoughts and actions of her (apparently ‘fictitious’) friend “Mrs. 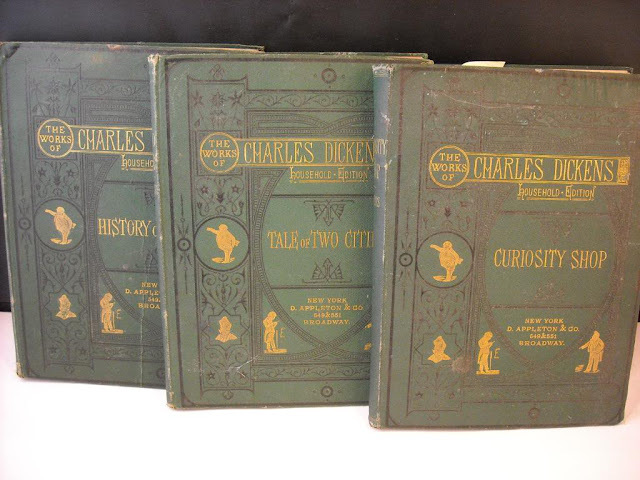 Harris.” When the sales of this novel begin to slump, Dickens added a long interlude describing the disastrous trip of young Martin Chuzzlewit and his friend Mark Tapley to the United States. His British readers were not that interested with this satirical account of America, based on Dickens’s own recent trip there, and many of his American readers were highly offended. 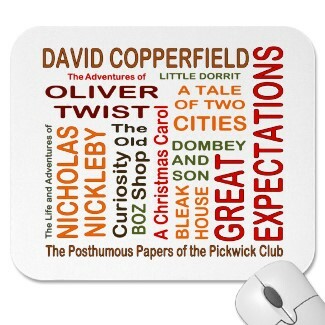 The Pickwick Papers: this was Dickens’s first novel. It’s a picaresque comic novel describing the adventures of the Pickwick Club, financed and led by the beneficent Mr. Samuel Pickwick, a retired business man who likes to travel around the country, with his friends, engaged in mild adventure. The introduction of the cockney servant Sam Weller took the novel into a whole new dynamic realm of fun and social commentary. Weller represents the worldly-wise, working-class man, always eager for the main chance. Pickwick symbolises the benevolent nature of the reputable middle-class gentleman. Dickens’s working-class readers loved the character of Sam Weller. Here was a writer who understood them, and championed their cause. Bleak House: many academic critics select this complex, poetic novel as Dickens’s greatest artistic achievement. It is notable for containing two narrators, who share half of the story – an objective third-person narrator telling the story in the present, and the first-person narrator, Esther Summerson, who relates the story from a seven-year vantage point in the future. The biting satire of the book is focused on the corrupt legal system – specifically, the fate of a long-standing lawsuit, dealing with a contested will, that is making its slow-motion, tortuous way through the Court of Chancery. Despite its complex form and rich style, I found the book less involving than others – the story takes a long time to get going, and is not that interesting anyway. Nicholas Nickleby: this is Dickens’s third novel. It combines humour and melodrama, and it also presents a young gentleman as protagonist – a man with no money or property, who is struggling to make his way in the world. In the opening section, Dickens does for Yorkshire boarding “schools” what he did for parish workhouses in Oliver Twist – skewer them unmercifully! The novel has elements of the picaresque adventure – Nicholas hits the road in search of his fortune, and enjoys an extended interlude as actor-playwright with the Vincent Crummles acting troupe. And it has elements of melodrama in the struggle Nicholas undergoes with his malignant uncle Ralph. Little Dorrit: is a wonderful book built ultimately on Dickens’s childhood memories of his family’s incarceration in the Marshalsea Debtors’ Prison. The first half of the book gives a detailed portrait of the life experienced in that place. Arthur Clennam - one of the main protagonists in this novel – is a revealing self-portrait of the disenchanted author himself. And William Dorrit, the “father of the Marshalsea” is another portrait of his father, John Dickens. Micawber (in David Copperfield) had been a positive version of his ambivalent attitude to his father, William Dorrit is the negative view. Little Dorrit is another portrait of a sweet and innocent young woman – she is quite unreal – a figure of self-abnegating perfection. Our Mutual Friend: Dickens’s final complete novel. It is a biting, satirical look at the corrupt nature of English society – which Dickens considered more and more obsessed with money and social position. A key element of the plot is the fall-out from the apparent death by drowning of a young man, returning to London from overseas, who was the inheritor of a fortune earned by his father in dust heaps. The plot is a bit convoluted; some of the characters are not that appealing; but the writing style is often archly innovative and entertaining. There are several intriguing female characters in the novel – not always one of Dickens’s strong suit. Barnaby Rudge: this is Dickens’s first historical novel (the second was A Tale of Two Cities). Although it was his fifth novel, he had the story in mind very early in his career, but put it off because other work took precedence, or because of disagreements he had with his publishers. The novel is set during the anti-Catholic riots in London in 1780. Like A Tale of Two Cities, the plot intertwines real history with the fates of a small group of characters living just outside the city. 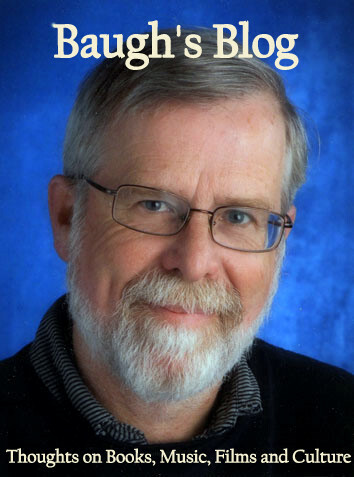 The book is interesting for having a simple-minded youth as its main protagonist. And there are several characters that get the usual satirical treatment. The description of the riots – spread over a week, or so – is gripping, and it makes you want to learn more about this dramatic period. Dombey and Son: this novel begins, it seems, as a satirical account of mercantile capitalism – through the figure of wealthy businessman Paul Dombey. But it is pulled this way and that as Dickens shifts focus several times. There is a Little Nell-like interlude, which charts the slow decline and death of the young boy, Paul Dombey, Jr. And there is the increasingly melodramatic account of the marriage between Dombey Senior and Edith Granger. Edith is pushed into the marriage by her scheming mother, who is desperate to see her widowed daughter marry into big money. After the death of Paul, Dombey’s daughter Florence becomes the focus of the rest of the novel, and she is another of Dickens’s innocent young women who are exploited and neglected by selfish fathers or grandfathers. And the book ends with the rather unbelievable redemption of the recalcitrant father, Paul Dombey, who finally learns to appreciate his daughter’s selfless love. The Old Curiosity Shop: the notorious story of Little Nell, who sacrifices her own interest throughout, in order to care for her selfish and gambling-addicted grandfather. They abandon their home – the Curiosity Shop – in order to escape the vengeful clutches of the malign dwarf Daniel Quilp. The endless account of Nell’s road-travels with her grandfather is rather tiresome. Her fate is telegraphed fairly early in the book and one waits for it with mounting anticipation and – dare I say it – also with growing irritation. Victorians, apparently, were a much more sentimental bunch than us jaded and rather cynical moderns – they lapped up the pathos in this book with glee. 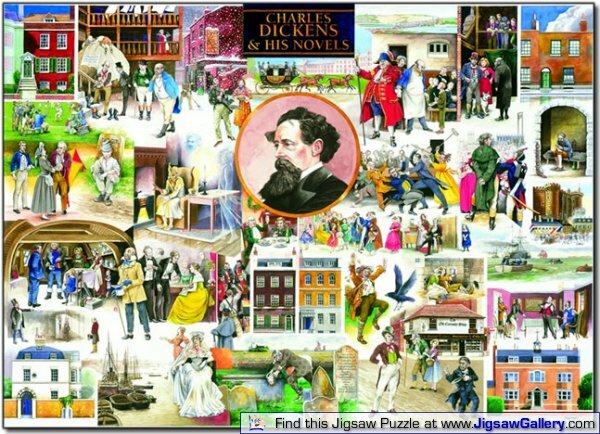 The Mystery of Edwin Drood: Dickens’s last novel. It was planned to be half the size of his usual epics. But he died, anyway, before finishing it – completing six of the twelve parts he had intended. It is based in Cloisterham, a town based on Rochester in Kent, where Dickens had grown up as a young boy, and where he returned (the nearby village of Higham, where his house, Gad’s Hill Place, was located) to live in later life. 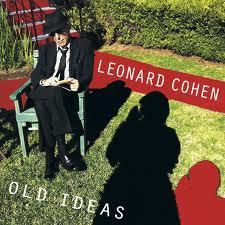 So his last novel is set in the two locations that had fuelled his creativity most (the other, of course, was London). This was a detective story – one of literature's first – so it was ironic that he would die without having revealed the secret to the mystery, although the murderer’s identity is pretty clear from what he had already written and, more importantly, what he had told to a few friends and associates. The most interesting character is John Jasper, who can be seen as another self-portrait by the author, a troubled, self-divided man – motivated by love and hate – with many secrets to hide. Hard Times: a quickly written novel, published in weekly parts for Dickens’s magazine. It is the most didactic and straightforward novel he ever wrote. It is also the shortest – so it contains a very small cast of characters, and very little in the way of sub-plot and discursive digression. The book is a polemic against the philosophy of utilitarianism, which underpinned the no-nonsense industrialism of the mid-nineteenth century. Dickens had travelled north to Preston to witness for himself a notable industrial dispute. He was appalled by the working conditions in the factories, but he was also critical of what he thought was the immoral opportunism of some trade union leaders. An interesting, uncharacteristic oddity in Dickens’s body of work. The type of novel he might have done a lot more of, if his work had been centred on ideas, rather than the portrayal of humane and life-like characters.